An excerpt of Mitchell S. Jackson’s Survival Math was published in The Paris Review’s Fall 2018 issue. Mitchell S. Jackson’s debut novel The Residue Years was a finalist for the PEN/Hemingway Award for Debut Fiction, the Hurston/Wright Legacy Award, and the Flaherty-Dunnan First Novel Prize, and it was the winner of both the Ernest J. Gaines Award for Literary Excellence and a Whiting Writers’ Award winner. He is arguably one of America’s most important contemporary voices. For years, readers like myself have been awaiting his next proclamation. 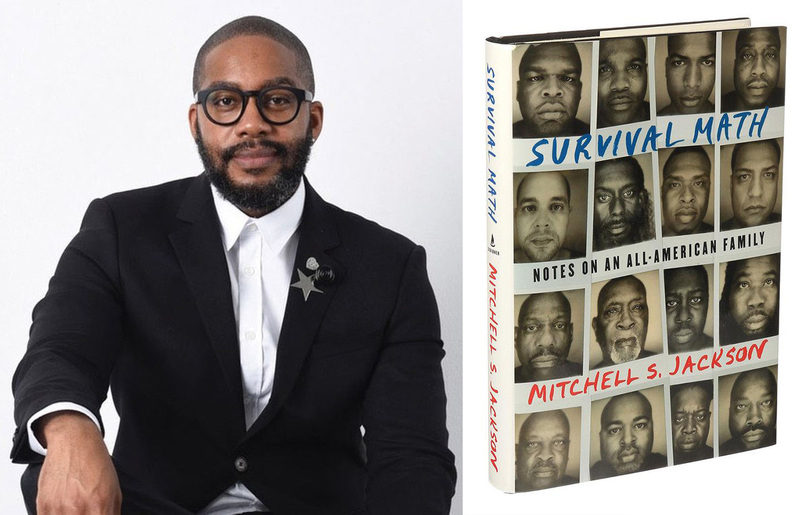 His new memoir, Survival Math, arrives not a day too soon amid the political turmoil of 2019. In his second masterpiece, Mitchell has cast aside the fictive cover and turned the lens deeply inward. He delves headlong into issues of race, class, masculinity, love, addiction, and redemption, which unfold into an urgent American odyssey that sweeps history, time, register, and place. His writing is searingly beautiful, self-abnegating, clairvoyant, and brave. Celebratory and confessional, deeply researched and fully realized, he speaks from the gut about the dissolution of family, the disquiet of a country still steeped in deep racial prejudice, and what it means to survive everything, from prison to his mother’s addiction. Survival Math is at once risky and immaculately conceived. Mitchell is the only person who has invited me to an event so fancy the invitation was flown to my home overnight express. When we attended the awards ceremony, Joy Williams wore her signature cowboy boots and sunglasses onstage. Don DeLillo stared, stone-like, straight ahead. “Hey,” I leaned over to Mitch and asked, “Isn’t that woman handing out awards with her back to us a famous actress?” “You mean Meryl Streep?” he said. We both laughed. This, it seemed, was already his milieu. It was my honor to interview him about his craft.